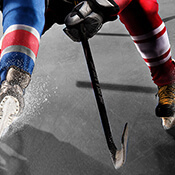 BetStars has a great range of markets for those interested in ice hockey betting in the NHL and competitions from all over the world. As well as the match result, we have odds on the number of goals, both teams to score and whether there will be overtime, plus our betting experts will provide analysis and tips ahead of the weekend action in the NHL to point you in the right direction. There will be a new winner of the Stanley Cup this season as the Washington Capitals take on surprise package the Vegas Golden Knights in the finals.